I was blessed with the incredible opportunity to be involved with the I’m a Mormon campaign in London, for which I did a little graphic design, a little strategic planning, and a little journalism. 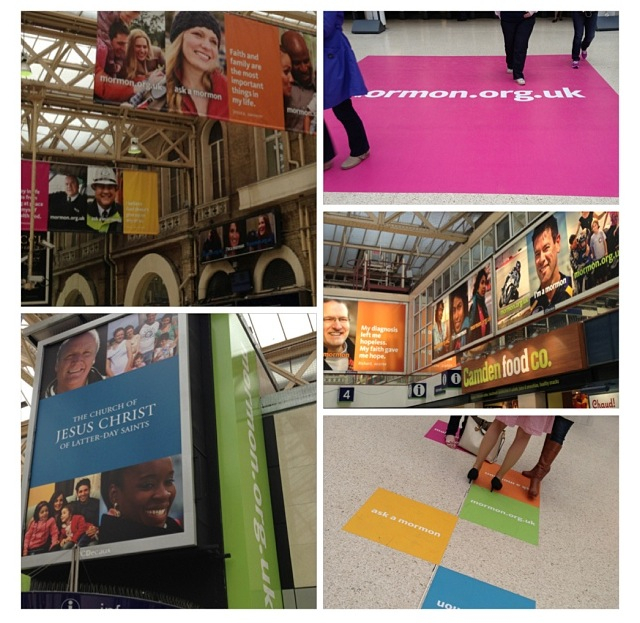 It was really cool to see some of the things I had helped create plastered all over London, and making some big changes in the way that people thought about the Latter-day Saint faith. My favourite project to work on was a video flyer that I designed for prominent members of the British press and other opinion leaders. When I was first approached with the project, I though it was a joke- I didn’t think the technology existed! To quote The Independent, the video flyer is sort of like “a birthday card crossed with an iPad.” The incredible benefit of this PR tactic was that the technology was so different and exciting, that everyone we sent them to actually took the time to watch the videos included in the flyers and get talking to out Public Affairs representatives in response. The best reception of the flyer was from The Independent, a prominent national newspaper who consequentially called us “PR wizards”. You can read that here. Another project I really enjoyed was more to do with the campaign aftermath. We ran around the city filming the campaign on busses and trains, and we stopped people on the streets to ask them their impressions of the campaign. I managed to stay BEHIND the camera, but you can see the video here. It was an incredible project- I talked to so many interesting people and learned a lot.